It rains a lot in the Pacific Northwest, and a properly maintained gutter system plays an integral part in protecting your home’s exterior and interior. A gutter system acts like traffic control for rainwater—it captures rainwater runoff from the roof and funnels it away from the home so that you’re not left with water flowing down your siding or pooling near your foundation. 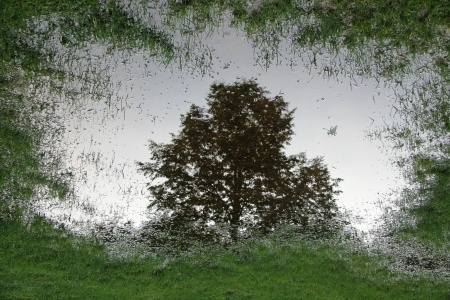 However, gutters are often one of the most neglected systems in the home. When left clogged or broken, homeowners can face extensive damage that can range from wood rot to pest invasions to a damaged foundation. Here are three ways a damaged gutter system can easily drain your bank. When a gutter system is left unrepaired, they lose their ability to maintain traffic control of rainwater. This leads to water building up and eventually overflowing onto the siding rather than getting funneled and drained away from the home like it’s supposed to. The most common gutter problem any homeowner experiences is clogs. Since the Pacific Northwest is known for being lush with trees, there’s no avoiding leaves and pine needles making their way into gutters. When leaves and debris accumulate in your gutters, they prevent water from flowing through in an efficient manner. In addition, the weight of the soggy leaves, debris, and water build-up results in additional stress on your gutters; however, gutters aren’t built to hold that extra weight. 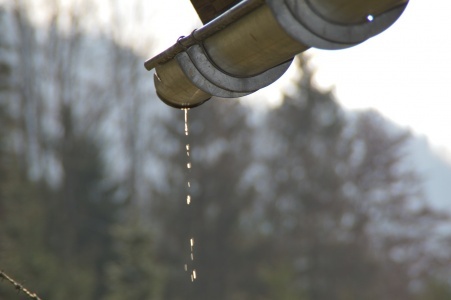 Considering how much rain the Pacific Northwest gets—and sometimes for multiple days in a row—that extra weight can wreak havoc on your gutters by making them either sag or completely pull away from your roof. If there’s no gutter to catch the rainfall, then you’ll start noticing that water will flow down your home’s siding, which could result in excess moisture that leads to wood rot. Another place to watch out for wood rot is the fascia and soffit boards, which are the wooden boards where the gutters are attached to the home. Eventually, this rot can spread to other parts of the home such as the attic, siding, or the underlayment of your roof. If the underlayment of your roof experiences wood rot, then you’re also looking at performing a roof replacement that costs both time and money. The longer you leave a damaged gutter unrepaired, the more water will build up, leading to further and more extensive damage to your home. Again, clogs are the culprit for another costly issue for homeowners. Property-damaging insects such as termites or carpenter ants are especially attracted to rotting leaves that can be found in gutters that have gone uncleaned. In addition, a gutter’s concave shape paired with moist leaves and debris that act as insulation makes gutters the ideal home for pests and insects. When the temperature gets cooler or wet weather hits, those pests and insects can eventually move inside your home, which can cause a pest or insect infestation that can only be taken care of by a professional. Avoid insect and pest infestations both outside and inside your home by keeping your gutters in proper shape. Clear them of any leaves and debris to avoid any unwelcomed insects or pests inside your home. Your home won’t be able to stand without a steady foundation—in fact, it’s the most critical element to any home. Your foundation keeps your home above the ground while also keeping moisture out. The thing to keep in mind is that a foundation is built to last the lifetime of the home. Surprisingly enough, an inefficient or broken gutter system may cause damage to your home’s foundation. As mentioned above, a gutter’s purpose is to control the flow of rainwater by collecting the runoff from your roof and funneling it away from your home. When gutters are clogged, they lose the ability to perform their duty, so the excess water has nowhere to go but to overflow and fall directly below the roof’s eaves or along your home’s foundation. This excessive amount of water can damage your home’s foundation because when there’s an overwhelming amount of water seeping into the ground, the soil then expands. This expansion puts extra pressure on the walls of the foundation. In addition, this could be especially dangerous during the winter months. If the foundation gets wet and then freezes, you may be left with cracks in your foundation that could put your home at risk for structural damage. Keeping your gutters in tip-top shape is an often-forgotten chore for many homeowners. However, it’s a job that could save you from having to reach very deep into your pockets. While we’re fortunate to live in an area that’s lush with trees, we also have to deal with the never-ending rainfall, which keeps gutters working overtime. Leaving gutters clogged with leaves and debris can cause some unexpected damages. Wood rot on your siding or roof underlayment can occur when water builds up in your gutters. Pests and insects can also start calling your gutters home since they’re attracted to the gutter’s concave shape and leaves that create the perfect nesting place. Last but not least, a clogged gutter can also damage your home’s foundation, which could be the most costly damage any homeowner could experience. Inspect your gutters every three months to see whether they need to be cleaned or repaired so you can avoid these extensive and costly damages to your home. Want to learn more about gutters? Whether you’re in Seattle, Tacoma, Bellevue, Snohomish, Olympia, or surrounding areas, give us a call at (360) 205-3100 or fill out our contact form, and we’ll help answer your gutter questions.